V E Hotel & Residence welcomes the upcoming holy month with an assortment of Arabian selections and local favourites that highlights the unique blend of Malaysia’s cultural flavours in our all-day dining restaurant, The Straits Estate. 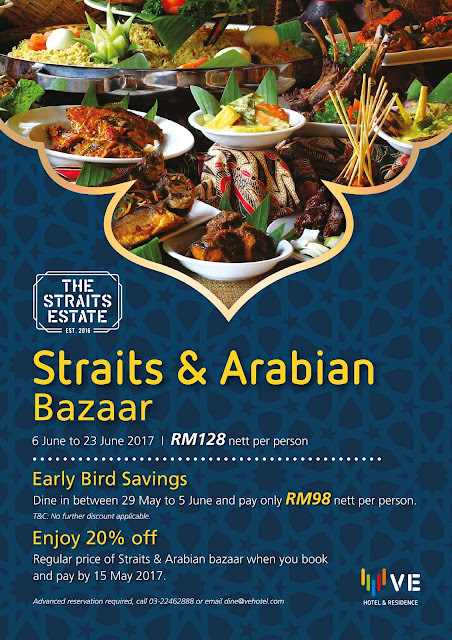 From 29 May to 5 June, dine-in at RM98 nett per adult for early bird savings. 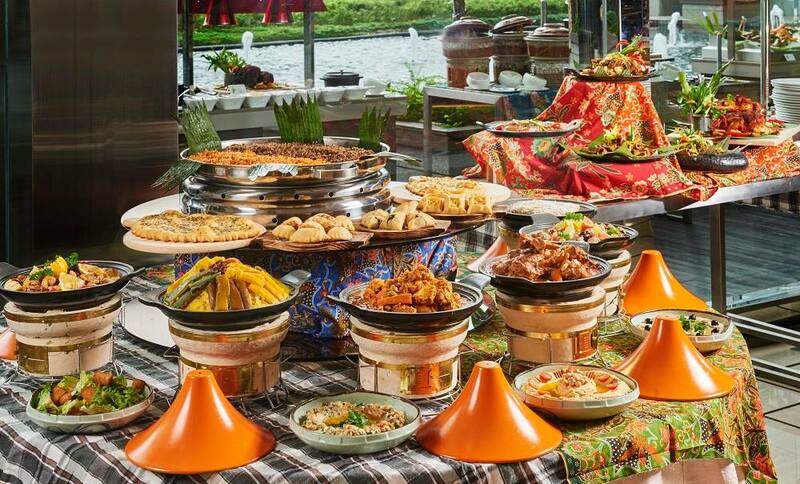 Source FB : V E Hotel & Residence welcomes the upcoming holy month with an assortment of Arabian selections and local favourites that highlights the unique blend of Malaysia’s cultural flavours in our all-day dining restaurant, The Straits Estate.